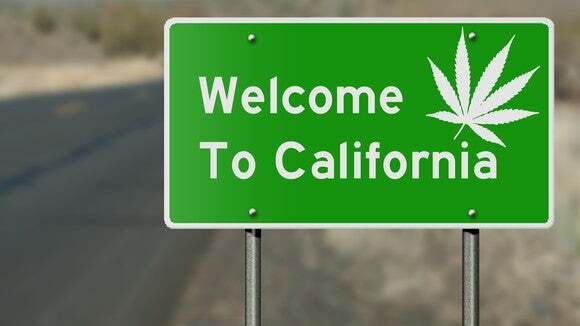 California could be the biggest cannabis market in the world, and these three pot stocks are angling for their pieces of the pie. This has been a year of big changes for the marijuana industry. Namely, our neighbor to the north passed bill C-45 on June 19, which also is known as the Cannabis Act. It will allow Canada to become the first industrialized nation in the world and second, overall, to legalize recreational marijuana for adults. As you may have guessed, the possibility of adding $5 billion in annual sales has caused quite a stir with growers and investors. Canadian growers have been expanding their capacities as quickly as their balance sheets will allow, while investors have pushed marijuana stock valuations into the stratosphere on the expectation of strong top- and bottom-line growth. No one can argue against the idea that Canada’s legalization is groundbreaking or could create a lifetime of wealth for select investors. But what’s often overlooked is that another legal market could offer even higher annual sales than Canada: the state of California. Back in November 2016, residents of the Golden State voted overwhelmingly (57% in favor to 43% against) to approve Prop 64, legalizing recreational marijuana. 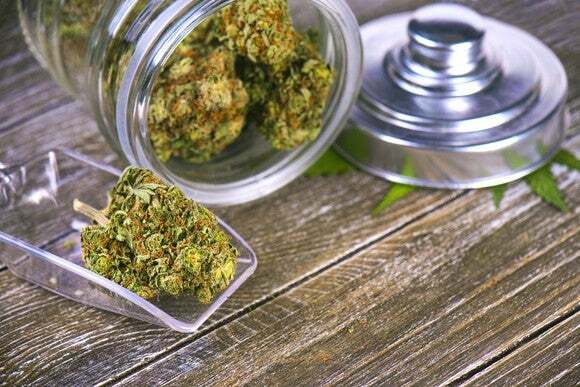 The sale of adult-use weed commenced in approved dispensaries on Jan. 1, 2018 and is expected to top $5 billion in 2019 once new dispensaries are licensed and begin selling cannabis. Ultimately, California is the fifth-largest economy in the world by gross domestic product (GDP), eclipsing all of Canada. Even with the U.S. federal government standing firm on marijuana being an illicit substance (Schedule I drug), the California market has a genuine opportunity to be larger, and potentially more profitable, than Canada. 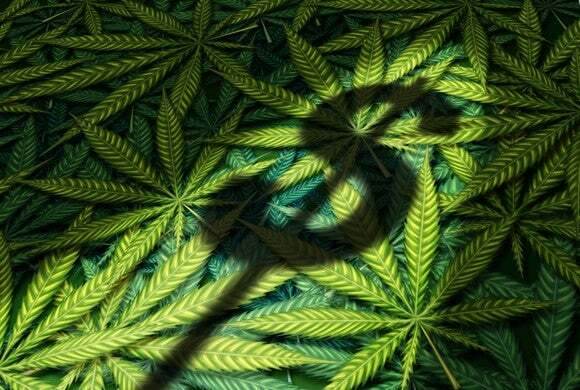 Yet truth be told, most marijuana stocks with a key focus on California largely go unnoticed. Much of the reason for that likely has to do with the disadvantages pot-based businesses facewhen operating in the U.S. as a result of its federal scheduling. But if this federal scheduling were to be altered, or if the California weed industry continues to grow at a rapid pace, this scheduling may not have a long-term impact on marijuana stocks with strong ties to California. These pot stocks have a keen focus on California With this in mind, here are three marijuana stocks that clearly have California’s cannabis market in focus. Few, if any, pot stocks have more skin in the game in California than Canadian-based CannaRoyalty (NASDAQOTH:CNNRF). Though it has its foot in the door in six U.S. states and Canada, this royalty company primarily focuses on California. Similar to the better-known Auxly Cannabis Group, CannaRoyalty provides equity or debt financing for growers looking to expand their capacity and/or product lines. In return, it receives a royalty on net sales of a product or group of products. It also has about 10 wholly-owned subsidiaries. Combined, this diversity of CannaRoyalty’s portfolio offers it the ability to operate without the fear that struggles at one or two of its businesses will sink the ship, so to speak. CannaRoyalty also aims to become one of California’s leading distributors. There could be thousands of brands competing for shelf space and hundreds of licensed dispensaries when all is said and done. Yet there are only a select few distributors that act as middlemen. CannaRoyalty, through investments and acquisitions, is angling to find its niche in what could be a very profitable distribution space. Keep in mind, of course, that this is a work in progress. Despite more than doubling sales in the first quarter from the prior-year period, CannaRoyalty’s per-share net loss doubled to 0.10 Canadian dollars from the year-ago quarter. Another marijuana stock putting California first is MedMen Enteprises (NASDAQOTH:MMNFF). MedMen, which was the largest U.S.-based cannabis initial public offering in history in Canada, operates high-end weed dispensaries in three states. It currently has four locations in New York, another four in Nevada, and eight locations in Southern California, including four in Los Angeles. The money raised from its recent IPO should allow the company to rapidly expand its storefront presence within its key markets, as well as introduce its brand to Canada via a partnership with Cronos Group. MedMen has a focus on normalizing cannabis for personal use and higher-end products and branding, and there’s a real possibility that MedMen could escape or lessen the hiccups that occur during economic contractions and recessions.